This website is geared toward and designed to save your brothers life. By putting your info into this website, you will help us track down, respond to and accelerate the healing process of your brothers. Please note that by putting your info in, you may be asked to respond to a brother in need of yours if you're in his area. In situations like this, there's no time to revoke your commitment. Any help in these matters could mean the difference between watching your fellow marines, sailors and soldiers rise above their demons, or watching them succumb to them. Thanks again for your commitment. 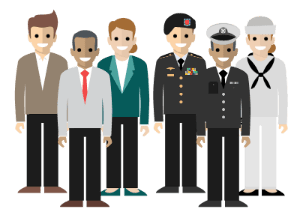 By using this website you are adding to our map of local veterans who are willing to rise to the occasion of helping other veterans in their area. When we hear about a veteran who is having suicidal thoughts or other related issues we look for a member in our database who is close by to this veteran who is willing to help. We never share your information with any other users or 3rd parties and if you choose to dis-enroll from this program you can at any time.